You don’t have to leave the solar system this August for some exceptional happenings and reads… today’s post features Bacon’s top five! Buy your protective glasses if you haven’t already. And if you don’t live in Nashville – come enjoy it with us! Ride the wave of collective excitement as the biggest major city in the U.S. to see the full monty (we’re expecting a million visitors). One of the best places to enjoy the view? Bicentennial Mall, at the Italian Lights Festival. For other venues, click here. Solar eclipses are predictable. Solar flares? Not so much. The last really big one hit in 1859, blowing out telegraph systems, delivering electric shocks, and causing auroras so brilliant that people believed the sun was rising in the middle of the night. 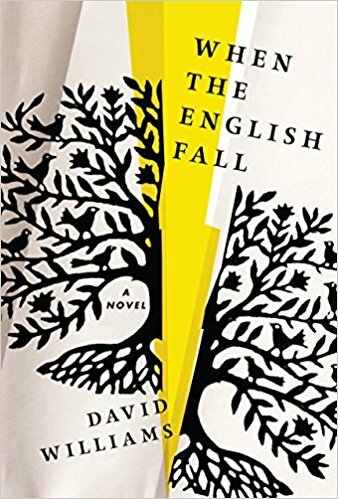 A new novel by David Williams, When the English Fall, imagines an even bigger solar flare in the near future, one that disrupts modern society entirely. Who survives such an event? In Williams’ telling, the Amish. Jacob and Hannah, their two children, and their community continue life much as they always have on their farms and at church. Now they’re surrounded by people whose lives and livelihoods are falling apart. It’s one thing to help their non-Amish neighbors, people they have known and traded with for years, but what about the strangers who flee towards them from the cities, some of whom have bad intentions? How will the community defend itself, or even begin to meet such needs? And can the community make a joint decision – or will each family have to decide for itself? Told through Jacob’s diary entries, When the English Fall is an unusual entry in the dystopian literature genre (almost certainly the only Amish post-apocalyptic fiction out there). It’s a quieter book than you might expect, more contemplative than suspenseful honestly, perhaps because its author is a theologian and pastor. Jacob’s diary entries are both simple and thoughtful; he is a good man in a bad world. This novel will not appeal to readers who like their heroes tragically flawed or deeply complicated. It will appeal most, perhaps, to those who are spiritually inclined. Come join us at Intersection for an evening of music celebrating the work of renowned Italian film composer, Ennio Morricone. Known mostly for his scores to Spaghetti Westerns, Morricone’s music explores a much wider vast range of musical styles. He has composed over 500 scores for film and TV and over 100 classical works. Intersection will present an intimate program of some of Morricone’s most beloved scores such as “Cinema Paradiso” alongside an exploration of some of his music full of character, beauty and rhythmic vitality. “It should be a fun, casual, summer, family-friendly event showcasing some great contemporary music played by excellent players – I’m looking forward to it!” says Kelly Corcoran. Me, too. When I first saw (and loved) “Cinema Paradiso,” it was back in the days when I had a heart for sad movies. I’m an absolute sucker for characters whose defining features are kindness, a big heart and a sense of humor. Which is why I fell in love with Captain Jefferson Kyle Kidd in News of the World, by Paulette Jiles. It’s a terrific novel set in 1870s Texas, and one I’ve read three times already since it came out last fall. The Captain is an older man and stiff in the joints – I can relate – who starts the novel wondering if his days of not just adventure, but usefulness have passed him by. But then he’s charged with transporting a ten-year-old girl, Johanna, kidnapped by the Indians back to her relatives in Texas. In the course of the journey, that kid’s gumption and bravery reawakens the Captain’s enormous capacity for nurturing and reminds him of everything that’s good and exciting about being alive. You’ve heard me rant and rave about News of the World (prior Bacon post here, plus almost every conversation I’ve had about books in the last 9 months or so). I promise I’ll stop talking about it at some point. 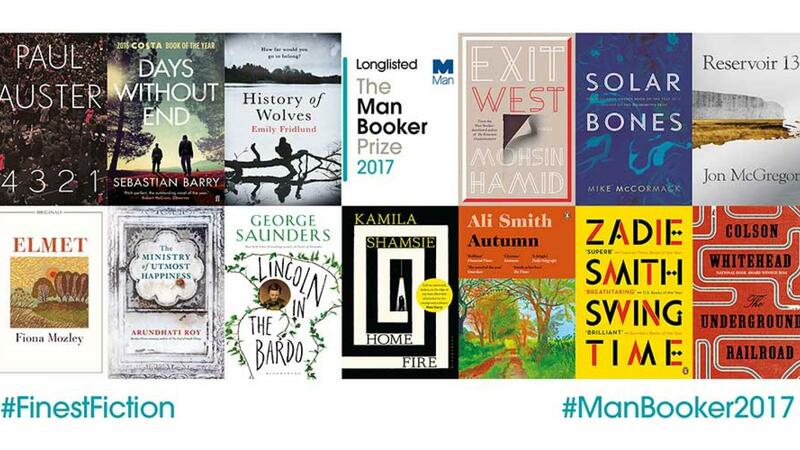 The Man Booker Prize has always been one to pay attention to, and it’s gotten even more interesting (IMHO) since they opened it up to include consideration of authors outside the Commonwealth a few years back. This year’s list was chosen from 144 submissions published in the UK between October 1, 2016, and September 30, 2017. A book club could do worse than to pick a sampling of these novels to read for the year. Click here to read more about each nominee. The shortlist will be announced September 13th, and the winner, October 17th. “The adolescent laundry situation in my household reached crisis level at just the same moment I got my very own circular saw. It’s terrific to find a new blog that makes your world a bigger place. My most recent discovery is Pamela Lamp’s Who I Met Today. Pam’s story: “I moved to Nashville, with my husband, a few years ago. Saying goodbye to Houston, and starting over in a new city, was not the script I had written for myself at 50+ years of age. I left behind 20 years worth of friends and activities, and I feared it would be HARD to come to a new city, meet people, get involved, and find a comfortable space. My relocation-reinvention WAS hard, and the move was challenging and scary. Attempting to satisfy my intense need to meet people and create a social life, I devised a project for myself – My New Thing For Today. Each day I vowed to do one new thing that would help me settle into my surroundings and find friends… It was a really big day when, for the first time, I ran into someone I knew at the grocery store! It’s an honor to be featured (along with BaconOnTheBookshelf) at Pam’s lovely blog. What are you looking forward to in August? Are you reading anything you’d recommend? Abstract Solar flare image: Copyright. News of the World is my pick for the Parnassus Book Club for September! Love it! If you order your eclipse glasses from Amazon, be careful. I ordered mine a few weeks ago and they have not arrived. I checked today and they are scheduled for delivery on September 2 from China! Going to try Loden Vision today! Metro Nashville Health Department is giving away 500 pairs of eclipse glasses at Lentz Public Health Center on Charlotte — might have some left.